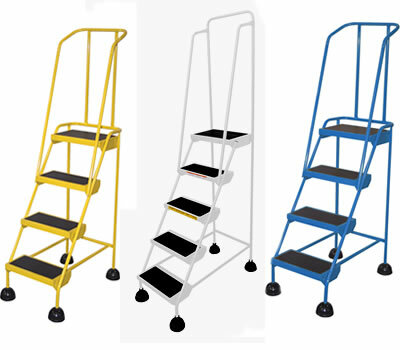 Ladders for your warehouse serve specific tasks for everyday mobility, picking, packing and access of warehoused products. 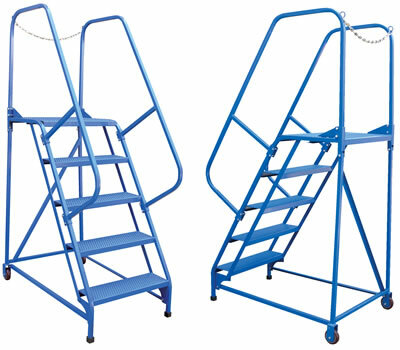 Whether you need step ladders with handrails, rolling folding ladders, rolling safety ladders, spring loaded ladders we have the largest selection of rolling ladders for sale. 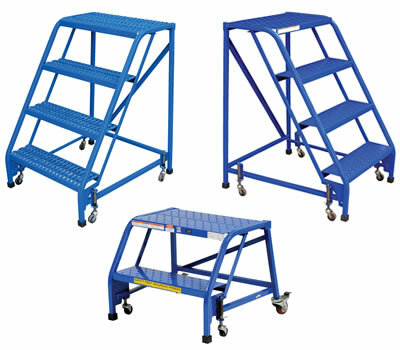 We also offer rolling ladders with removable access chains that are ideal for situations that need walk-thru access. 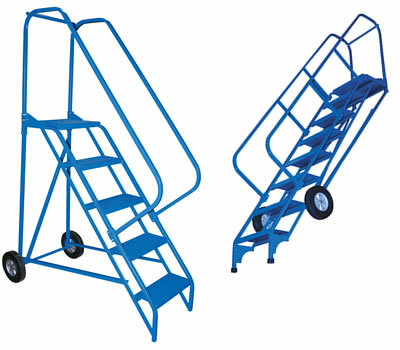 Bottom line, DockLaddersDepot.com can accommodate your need and budget with a ladder that meets the tasks at hand. 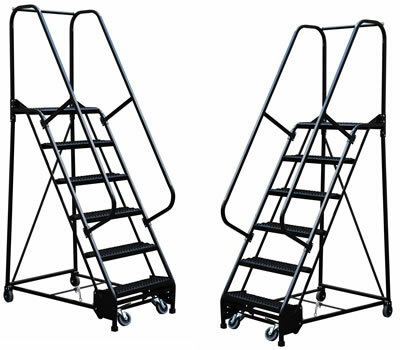 Click or Call TF 800-497-5912 for questions to order your rolling ladders and stairs today! 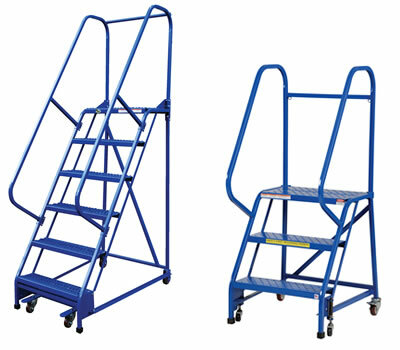 Browse these categories under "Rolling Stairs & Ladders"